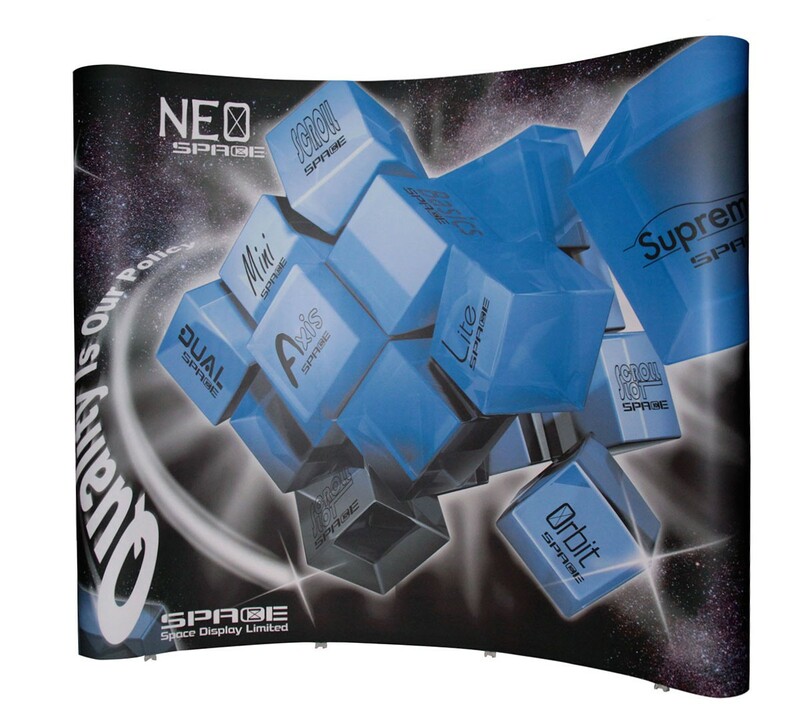 This set of replacement graphic panels for the Neo 10' pop up display includes six panels that are each 26.5" x 88". This set of replacement graphic panels for the Neo 10' pop up display includes six panels that are each 26.5" x 88". There are four main body panels and two end caps, and each is finished with a magnetic panel hanger that attaches to the Neo frame, a stiffener panel at the bottom of the main body panels, and "A" polarity magnetic tape on the edges of the panels that sticks to the Neo magnetic channel bars. Graphic size of each panel: 26.5" x 88"
Shipping size: 32" x 8" x 8"